Dimensions: height 72cm, diameter 70cm, weight 4kg. Available colors: white, beige, orange, red, light green, black. ELFO 70 is a practical and robust round table with an elegant design, suitable for any use: indoor or outdoor. 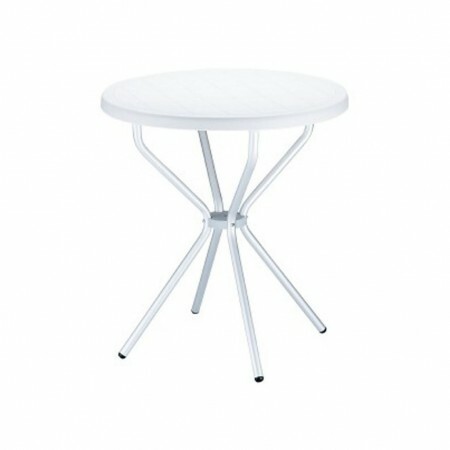 Sortie is made with top in polypropylene and legs in anodized aluminum with diameter 25mm. 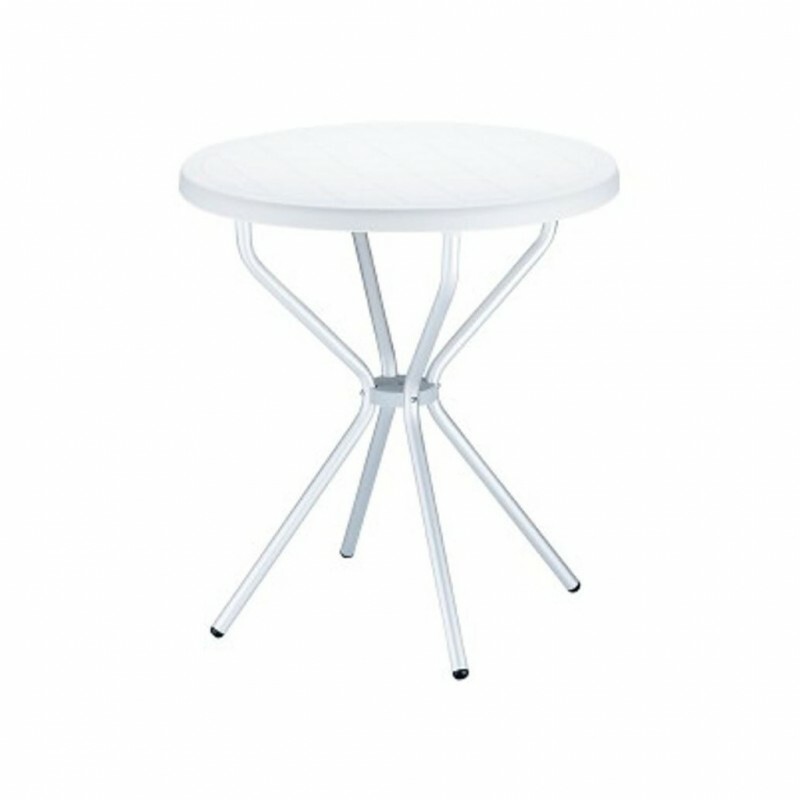 ELFO 70 is the perfect table for your garden or for commercial activities such as cafe, bar and so much more. Product with treatment against atmospheric agents and UV rays. The legs are easily removable. Important: in the dark colors, shadows and other minor imperfections they are more evident than in lighter colors and must be considered in the standard.